A man of many talents, Executive Chinese Chef Leong Chee Yeng of The Fullerton Hotel’s Jade Restaurant presents haute Chinese cuisine in an almost poetic meeting with unforgettable sugar sculptures (each hand-crafted by himself) amidst gorgeous pastel jade tones, bird and floral motifs. For the Year of the Boar, adorable porcine representations appear in the form of orange and pineapple centerpieces, as well as a very lovable Special Piggy Edition Gold Rush Yu Sheng ($388 for 10 pax). 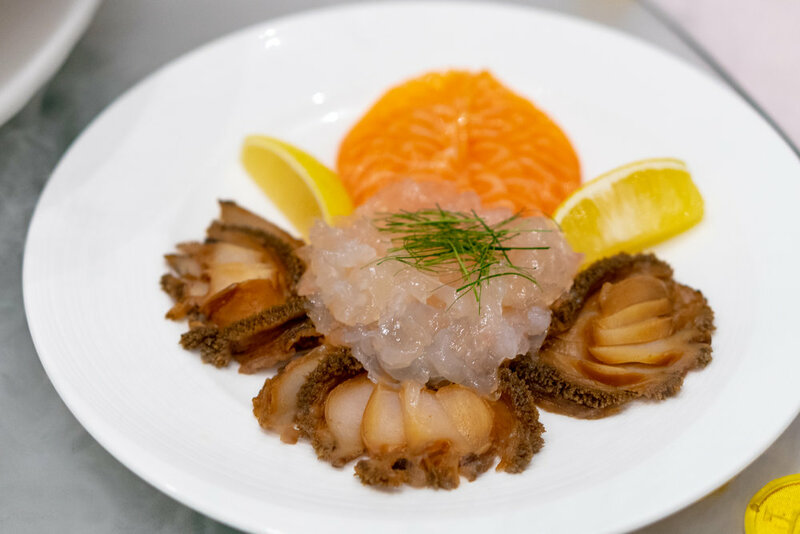 You can also opt for their ’non-piggified' Gold Rush Yu Sheng (starts $78 for 2-5 pax) with additions such as of lobster, Norwegian salmon and Australian abalone. 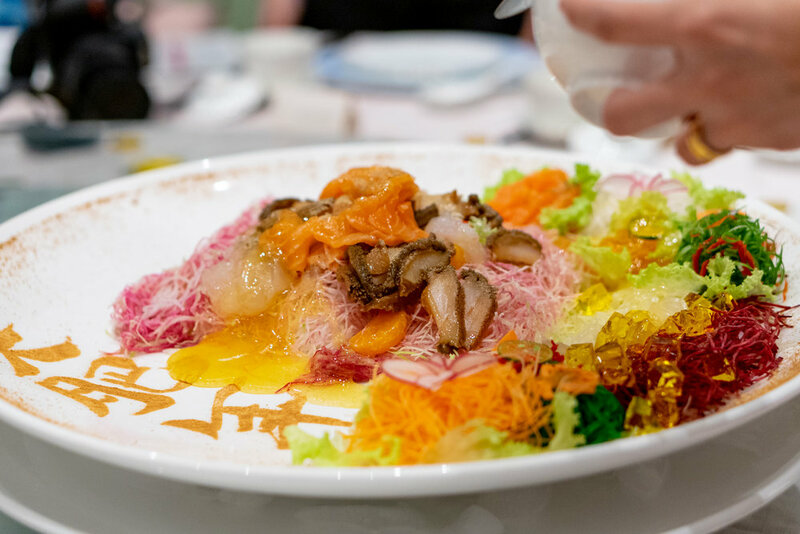 Yu Sheng’s come with house-made champagne jelly, glittery with edible gold leaf, and their signature honey pineapple sauce that gives a nicely rounded tanginess without being too sweet. In true 'double happiness' style, Braised and Roasted Pork Belly in Steamed Bun ($38 per portion of 4) marries fatty, but not greasy, braised pork belly with deliciously golden brown, crispy roasted pork belly. 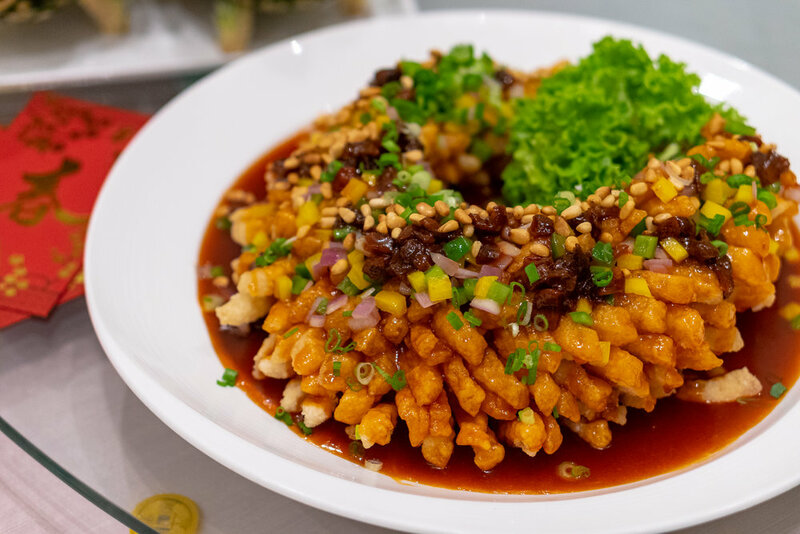 Also great is the Prosperity Stir-fried Sliced Red Grouper ($16 per 100g, min 1kg). Brilliantly fresh, tender chunks of fish in a spicy Vietnamese fish sauce with a good kick of pepper. 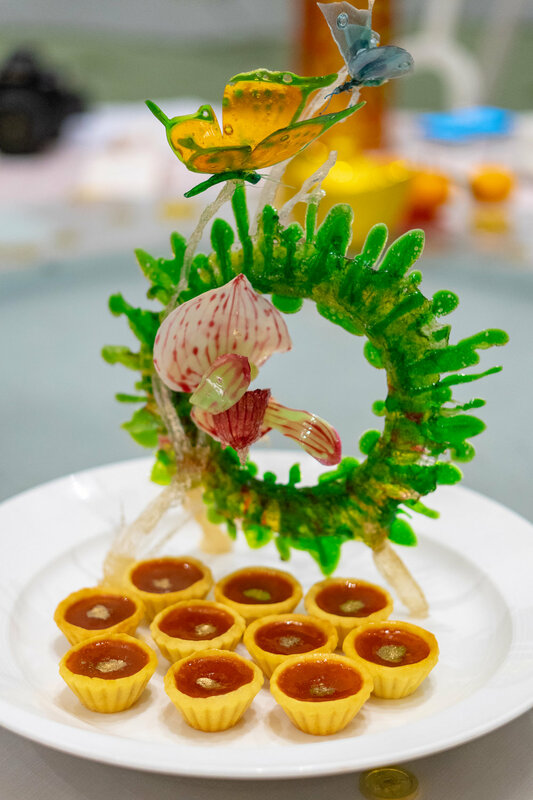 Arriving with the dramatic flair of Chef Leong’s sugar sculpture, the unique Baked Yam Paste “Nian Gao” Tart ($7 for 2, dine-in; $30 for a box of 9, takeaway only). 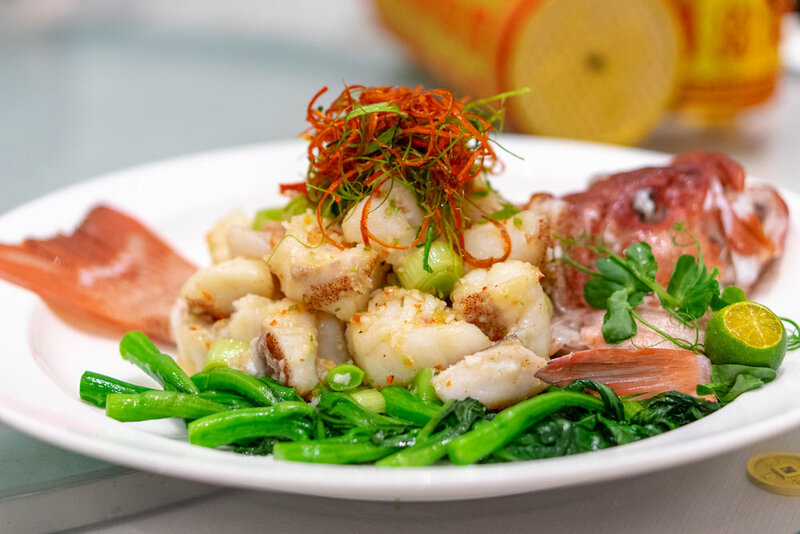 Chinese New Year dining at Jade Restaurant, The Fullerton Hotel Singapore is available through 19 February 2019. For more information and/or reservations, please visit their website, call +65 6877 8911/8912, email dining-rsvp@fullertonhotels.com.